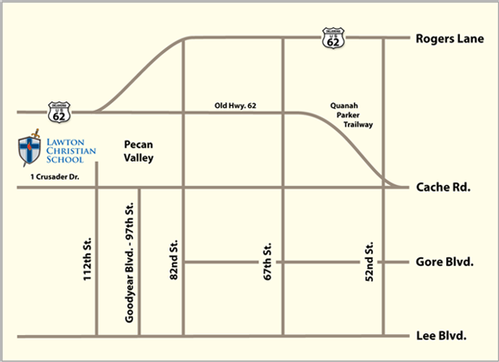 Lawton Christian School is located in northwest Lawton in the Pecan Valley area. The main entrance is just west of NW 112 Street on Cache Road. The Preschool entrance is off of NW 112 Street in Pecan Valley North.